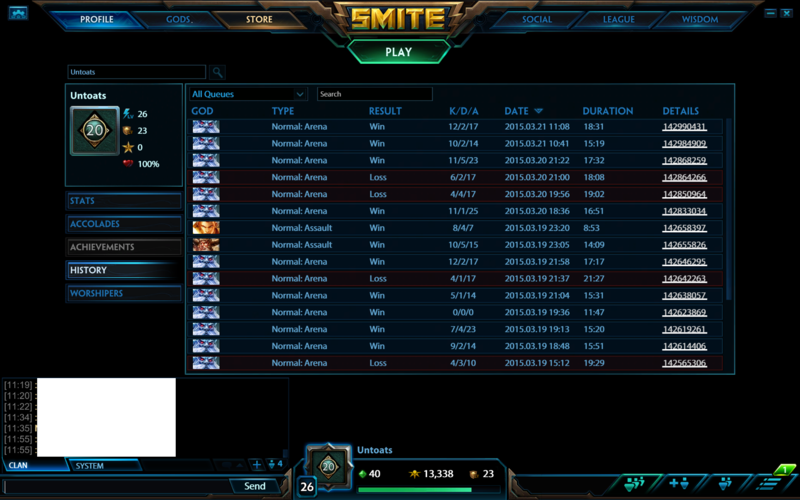 My name is waeKe and I play a lot of Smite. I am not level 30. I do not have every god mastered, I do not claim to be the best player in the world, but I think that I am pretty good at the game. Ymir is one of the oldest gods in smite, and he is still very competitive after all of this time. He has a lot of utility in every gamemode, and is very effective in arena. With his CC and damage, he is invaluable in any arena team. This guide aims to teach you how to play Ymir like a complete and utter beast. Okay, I know the build area is pretty confusing to look at, so I will explain it right here. YMIR LIKES are the items you will always 100% of the time buy first no matter what, no exceptions. PUNY ENEMY and YMIR CANNOT DIE are both third item and fourth items. You buy one over the other depending on how many deaths you have. You only ever buy both in the same box if you want full damage or full tankiness. SMASH! HAHA and AN UNMOVABLE MOUNTAIN are the last buy items, and you pick one of the two boxes to buy last. You don't mix the two. You pick SMASH! HAHA if you want the end game blow everyone up, and you pick AN UNMOVABLE MOUNTAIN if you want to live forever and support your team. SO TINY BUT SO GOOD are must buy actives. Shoes of Focus Shoes of Focus should always be the item you spend your starting 1500 gold on. The movement speed, magic power, and cooldown reduction are too good on Ymir to not have. Pick these up always. Winged Blade Everything on this item is great for Ymir. The 300 health just adds to your already good survivability, the 10% Cooldown reduction is amazing for Ymir, the more you can freeze poke, the better. The 10% Movement speed is incredible to add on to the 18% from the boots, especially in arena, where living and running is key. The 10% Attack speed lets you get that last little bit of damage you need to kill an enemy, as you can hit them for 130+ faster. The passive is incredible because it turns slows into speed buffs, which makes enemies trying to chase you with slows lose you, and you live. This item is incredible. Polynomicon Polynomicon is my third item of choice 99% of the time. This turns your freeze poke into a freeze poke destroy. This is the item you want if you are looking to burst down an enemy faster. Soul Reaver The reaver is an item like the Polynomicon, but I choose Poly over it because it can proc more often. Pick this item up only if you want the full out destroy your face build. The 15% max health on first ability hit is great if you want to go crazy. Midgardian Mail This mail is good for escaping and survivability, and it is relatively cheap compared to say, Mystical Mail. Pick this up after Polynomicon most of the time. Mystical Mail This item is very good for getting more damage in while surviving, but it is very expensive and delays your further items. Pick this up instead of Midgardian if you really want that extra damage. Spear of the Magus If you are playing Ymir with this build, you are generally going to use two abilities then auto attack the opponent you used your stun poke on. The two stacks you get from the spear's passive make you deal more damage with your auto attacks, which is very good. Rod of Tahuti Rod of Tahuti is the item to end almost every damage mage build. The power and passive it has makes an item that gives insane magic power. This item is last because it is so. freakin. expensive. Magi's Blessing Magi's is only picked up if you want the full tank set or if you really need the extra beads for a team composed of an Ares, Ymir, Athena, Fenrir, and some other high CC god. Not the greatest item ever, but good if you need that extra sense of security. Hide of the Urchin The hide will almost always have the full passive benefit, so pick it if you want a lot more defenses. Greater Blink This item is a staple of Ymir. You blink freeze poke for a secured kill or a teamfight initiator. Once people see you have done this, this generally makes them want to attack the enemy you froze, which leads to a teamfight. This is the Franz Ferdinand effect. It can also be used to escape, if you can. Always buy this as soon as you back after you clear the buff camps. Greater Purification This should always be bought after you finish your build and blink 3, or if there is an Ares on the other team that has hit level 5. It just gives you a way out of sticky situations, which can be good. Gem of Isolation You already have slows on every damaging ability. This item looks tempting, but it is unnecessary. Ethereal Staff This item looks like it synergizes with a tank like Ymir, but this item is just bad. Ignore it. Obsidian Shard Spear of the Magus outclasses it in every way as Ymir. Ymir can benefit from the stacks because he is up close and personal. The extra pen from the passive doesn't really benefit Ymir as much. Sovereignty You want to carry games most of the time, and even then, people will be backing to get health nine times out of ten. This is good in conquest, but not so much in arena. Chronos' Pendant You have enough cooldown if you have the Boots of Focus and Winged Blade You don't need the full 40% cooldown reduction, so don't buy this. Book of Thoth You don't have enough time to build all of the stacks, and you don't have very high mana to begin with. The passive won't really benefit Ymir. Frostbite Frostbite is the bread and butter of this Ymir build. The freeze poke makes your auto attacks do 100% more damage, paired with the Spear of the Magus stacks making it 120% damage, then the Polynomicon making it ~180%+. This passive is crazy good on Ymir and can make your auto attacks do upwards of 300 damage. Ice Wall This ability is what separates a good Ymir from a bad Ymir. If you are proficient with placing the wall, you are a good Ymir. However, if you are poor at placing it, and tend to hurt your team more than help them with it, you are a bad Ymir. You can use the wall to secure kills but letting you or your teammates get closer to their victim, you can use it to get away by placing it directly on your feet, and you can wall off the enemy spawn door keeping them out to die, or keeping them in the extra few seconds for your siege tower to make it into the enemy portal. You can use this to delay the enemy siege tower from hitting your portal, as well, but this should be last resort. This has last leveling priority. Glacial Strike This is your main damaging ability. It applies a slow to enemies hit with it. This is almost always used directly after your Frost Breath, but can also be used to finish off running enemies if you are good at predicting enemy movement. It can be used through walls. This ability also has a "charge time" where it takes one second to do damage after it is cast, which is the main reason it is used after Frost Breath. This has first leveling priority. Frost Breath Frost Breath is used after you blink 9/10 times. A Glacial Strike normally follows this, but your Shards of Ice can also follow it up. This ability freezes all enemies in place, which can let your team kill them, or you kill them yourself. It can be used to escape by freezing chasing enemies, or freeze running enemies and letting you or your team finish them off. This has third leveling priority. Shards of Ice Your ultimate does awesome amounts of damage. It is very easy to avoid, though, so you shouldn't use it unless you know the enemy has no escape or they are CC'd in place or you just have to finish them off from 20% health. This has a three second charge time before it does damage, similar to Glacial Strike. You can cancel it early by right clicking, but it does less damage, and this is how you finish enemies off. If you really need to, you can use it to kill a siege tower right near your portal or use it to slow enemies chasing your teammates to save your teammates. This has second leveling priority. This is your main gap closer and initiate. It does crazy damage and starts your team fights. This is only good if you can hit multiple enemies with it. It does great AoE damage and can really give your team the edge in a team fight. This is your gap closer/finisher if you can't use your blink. Use this if you can kill the enemy guaranteed. This is your ultimate burst combo, it can kill a relatively squishy target nine times out of ten. This is not optimal, as it uses all of your cooldowns. Use Greater Blink >> Frost Breath combo to initiate and start team fights. If there is followup, it generally starts the fight 5v4 in your favor. Use Ice Wall to save your friends and yourself. If you use it directly at your feet, you walk through and your chaser is stuck behind it. You can also close your friend from their chaser, saving their life. Use Ice Wall to block minions and siege towers from reaching your portal. This can win you games. KILL MINION WAVES. ONE MINION WAVE IS MORE IMPORTANT THAN A PLAYER KILL. I can't tell you how many games I've lost to teammates completely ignoring minion waves. Use Frost Breath to save yourself and your friends! See your friend near your spawn with a chaser right on them, and they are about to die? Freeze the enemy and your friend lives! When you see the buff camp you are doing hit 50% health, start the next one with your off cooldown ability. This saves time on the camp clearing. Buy Greater Blink as soon as you finish the three buff camps. Back as soon as they are finished. This can catch enemies off guard with a blink freeze so early. I have gotten multiple first bloods from this strategy. Don't be afraid to "kill steal". It is arena, it is all shared anyways. If you are close to an enemy that is safe to kill, kill them. Conversely, don't go too far to steal a kill, this is just rude. Ymir is a great god for a lot of things. He can save lives, finish enemies, secure kills, burst enemies, start teamfights, run away, anything. He is difficult to be amazing at, though, as the wall placement is a key in his kit, and also knowing when to fight and when to back off. If you play this build correctly, though, you will most likely carry your team, and your self esteem will once again be restored. Have fun playing Ymir, fellow Ymir-ers, and remember to squash your enemies. Nice guide and pretty easy to picture how to put this into practice, which is a rare thing reading guides - unfortunately its outdated since quite some time and I'm struggling now thinking of possible replacements for some items or keeping them regardless they got nerfed. Would you mind sharing your thought on that with us and updating the guide? 104826 Hallbjoern Nice guide and pretty easy to picture how to put this into practice, which is a rare thing reading guides - unfortunately its outdated since quite some time and I'm struggling now thinking of possible replacements for some items or keeping them regardless they got nerfed. Would you mind sharing your thought on that with us and updating the guide? As a fellow "Ymirer" who mainly only plays Ymir as a support, I was a little inquisitive on the guide. I think it was pretty good, but I was thinking that since Shoes of the Magi now give Pen and increased power, they are better for a hard-hitting guardian like Ymir. The mana is not really necessary, as it is arena, and also, CDR is easily obtainable through items like Spirit Robe, Winged Blade, and Breastplate of Valor. I was thinking you could pick up Pen boots, then for YMIR CANNOT DIE you could instead get Breastplate of Valor, and have 35% CDR. Another option could be to skip Winged Blade if the opposing team doesn't have many slows, get Breastplate and Spirit Robe for max CDR and some magical defense with Spirit Robe. Also, you could sell Winged Blade later into the game. This is all just my suggestions, so please take it as constructive criticism! Great job overall! 100160 NinjaMelon Hi there! As a fellow "Ymirer" who mainly only plays Ymir as a support, I was a little inquisitive on the guide. I think it was pretty good, but I was thinking that since Shoes of the Magi now give Pen and increased power, they are better for a hard-hitting guardian like Ymir. The mana is not really necessary, as it is arena, and also, CDR is easily obtainable through items like Spirit Robe, Winged Blade, and Breastplate of Valor. I was thinking you could pick up Pen boots, then for [b][b][color=#ff0000]YMIR CANNOT DIE[/color][/b][/b] you could instead get Breastplate of Valor, and have 35% CDR. Another option could be to skip Winged Blade if the opposing team doesn't have many slows, get Breastplate and Spirit Robe for max CDR and some magical defense with Spirit Robe. Also, you could sell Winged Blade later into the game. This is all just my suggestions, so please take it as constructive criticism! Great job overall! I agree that this looks like it works REALLY WELL with Ymir with his high base HP. Please elaborate, WHY is this item just bad? Otherwise this is a nice guide, I think you've done a good job with a different take on Ymir builds! 91093 brills Ethereal Staff This item looks like it synergizes with a tank like Ymir, but this item is just bad. Ignore it. I agree that this looks like it works REALLY WELL with Ymir with his high base HP. Please elaborate, WHY is this item just bad? Otherwise this is a nice guide, I think you've done a good job with a different take on Ymir builds! In both combos using Shards of Ice it is typically better to use Glacial Strike and Frost Breath before Shards; the spear stacks can be applied and will overall give on increase in damage. Anyways, a good guide, Upvote from me. 90137 festive1 Overall a good guide and I love the fact that you put so much emphasis on winged blade (I think its a great item and needs more use). I'll just point out a few things though: Using auto attack cancelling with abilities, you can sneak in an extra aa between [[Frost Breath]] and [[Glacial Strike]]. This can boost your damage early game (or at least until [[Spear of the Magus]] and [[Polynomicon]] are online; it is better to use the poly proc after the 2nd spear has applied) In both combos using [[Shards of Ice]] it is typically better to use [[Glacial Strike]] and [[Frost Breath]] before Shards; the spear stacks can be applied and will overall give on increase in damage. Anyways, a good guide, Upvote from me.